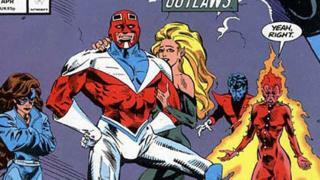 Image caption Could Marvel's Captain Britain be part of its next on-screen superhero team? We all know The Avengers by now - Iron Man, Captain America, Thor and the rest. They're like old friends after ten years and nearly 20 films. But now Disney is looking for a new set of superheroes to follow in their cinematic footsteps after 2019. That's when Avengers 4 is due out, and many of the stars' contracts expire. Work is being done to bring "a new franchise" from Marvel comics to the movies, according to Disney CEO Bob Iger. The company has already had major cinema success with Guardians of the Galaxy, a relatively obscure name before Chris Pratt and co hit screens in 2014. Marvel has been publishing stories about superheroes for nearly 60 years, so there's no shortage of names ready to step up to the challenge. Here are some of the possible candidates. Thunderbolts: Could Marvel succeed where DC didn't? Thunderbolts are a team of Marvel villains who have, to varying degrees of success, tried to reform their ways and lead more heroic lives. And yes, the concept does have a lot in common with DC's 2015 movie, Suicide Squad. "It would be something new for the Marvel Cinematic Universe (the MCU), anti-heroes trying to do good essentially, or being forced to do good," says 24-year-old Salford University student and Marvel superfan Sebastian Padget. Thunderbolts has included characters such as Hawkeye, Green Goblin, Venom, Luke Cage and Elektra - all of whom have already appeared in existing Marvel movies or TV shows. "It's similar to Avengers but it won't be about how the hero saves the day all the time and be a bit more hard-hitting," adds Sebastian. "It's a more militarised, grittier team for the MCU." Fanstastic Four: Fourth time lucky? Fox Movies have made three Fantastic Four films, but if a deal with Disney goes through, they could become part of the MCU. Daniel Preston of Marvel podcast, A Marvellous Lunch, strongly believes it will be Marvel's replacement for The Avengers. "Plenty of Fantastic Four storylines are to do with the Infinity Stones and plenty to do with Thanos (both key elements in the MCU) so there's a lot there to make movies about," he says. He wants to see Fantastic Four children Franklin and Valeria Richards appear and planet-eating giant Galactus become Marvel's new big bad. "He's way bigger than Thanos and more threatening. "Fantastic Four, Galactus, extra-terrestrial threats - it's spot on for the Marvel universe." And Tom Hindle, of film website Reel Online, believes Marvel will be able to write a film that fans will finally appreciate. "Marvel films are so good at going from genuine laugh-out-loud humour to very sombre, serious moments and don't lose you on the way," the 24-year-old tells Newsbeat. "The writers and producers at Marvel just understand these characters perfectly. Marvel got the rights to Spider-Man and now Tom Holland is the best we've ever had. " Captain Marvel will get her own solo movie in 2019. She currently leads a team called Alpha Flight, another contender to be Marvel's next big cash cow. "It would be a great opportunity to have her spearhead her own team," says comic journalist Chris Jones. 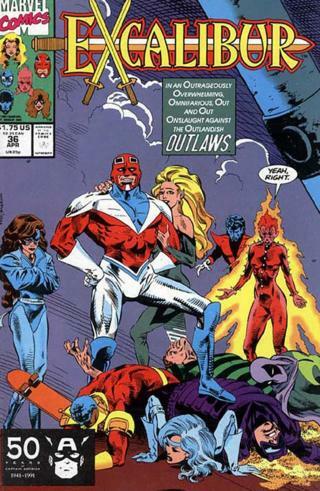 Originally a team of Canadian heroes, more recently they've been gallivanting in outer space - which could lead to possible crossovers with Guardians of the Galaxy. "If any of the Guardians are still around after Avengers 4, of course," adds Chris. If Marvel movies can go into space, they can come to the UK. 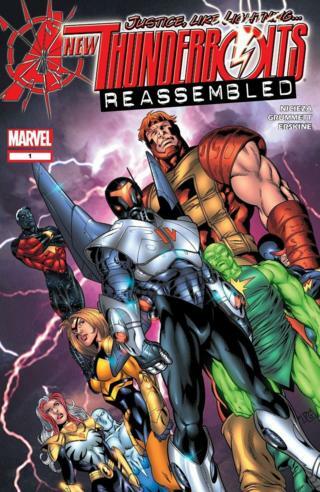 Excalibur is a team of British heroes that self-described "Marvel nerd" Dan Lamden believes would make a unique replacement for The Avengers. "Excalibur would feel like a really new and exciting part of the Marvel universe to open," he tells Newsbeat. And who needs Captain America when we could have Captain Britain? "Captain Britain has powers given to him from Merlin. So Excalibur has a slightly magical origin to its stories." The team works with fictional government agency MI:13, which opens up more unique opportunities. "Excalibur's heroes are either [involving] mystical arts which could be explored or they could go down the harder, Spooks-ish crime-fighting route, a bit like the Dr Who or Torchwood series," says Dan. 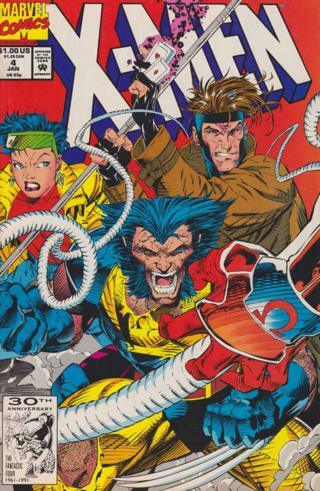 X-Men: A new start for mutants? Like Fantastic Four, X-Men coming home to Marvel and Disney depends on a big merger. But Chris Jones believes they are the perfect replacement for The Avengers. "The social issues and dilemmas really echo today's problems," Chris says. "Mutants are outsiders in the X-Men universe and that leads to so many racial and LGBT issues that make them more identifiable as characters." He wants to see the comic book storyline, House Of M - where everyone in the world becomes a mutant - become Marvel's next big movie thread. "House Of M is also about Scarlet Witch (from The Avengers) and her breakdown, realising she can shape reality," adds Chris. "At the moment the MCU seems to be building her up to be a major player. "She has suffered so much loss in the films and that parallels what happens in House Of M."